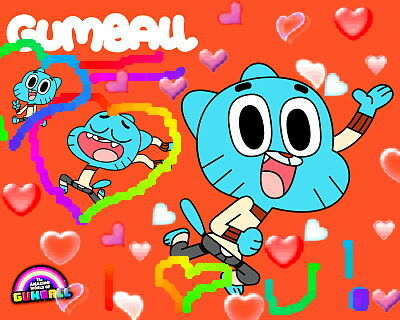 I Love Gumball. Graffiti 3DS foto's. Wallpaper and background images in the The Amazing World of Gumball club. This The Amazing World of Gumball fan art contains anime, grappig boek, manga, cartoon, and stripboek.